The Institute was created in 07.07.07. Its establisher and general director is a professor, doctor of philology late Ten Chu. Director of the Institute is first class Architect of Japan Yuji Imayo. The priority directions of the Institute activity go hand in hand with the working out of the idea declared by Switzerland FIGU society. 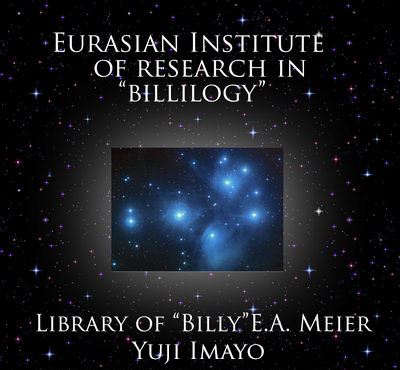 The Eurasian Institute puts before itself the task of study, popularization and spreading in CIS, Middle, Central and North-Eastern Asia the principles of study summarized by “Billy” E.A. Meier in his multiple works and publications, translations and issuing of his works and the creation on its base educational programs. In the perspectives of the Institute it is planning to open the University dealing with up-bringing of the rising generation in the spirit of Billy’s study principles.